You are always thinking that Joomla is not a suitble platform for an online store? Now is the high time you change your mind with ZT Cosmetic Responsive Joomla Virtuemart Template. ZT Cosmetic built on Zo2Framework means that you will have a unique ZT Cosmetic just by some mouse clicks. 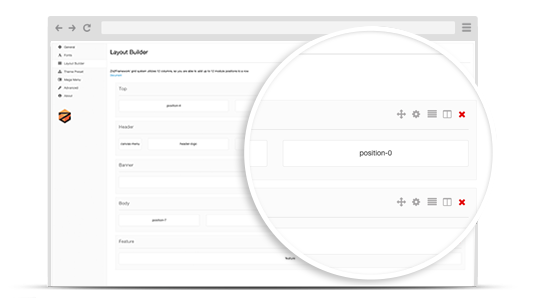 Detailed documentation will help you to manage any customization in minutes. 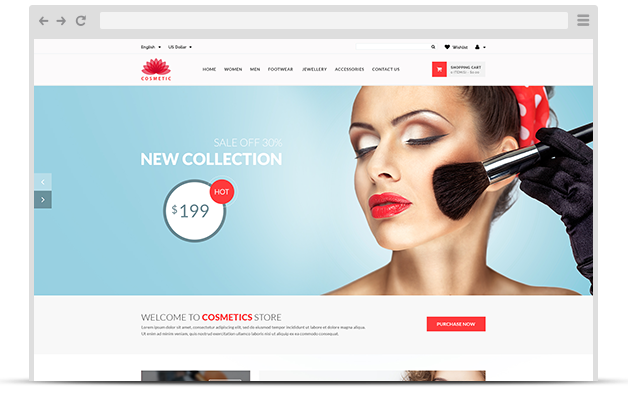 Like other templates from ZooTemplate, ZT Cosmetic is automatically integrated with ZT Virtuemarter (including Ajax Cart, Ajax Wishlist, Ajax Compare, Product List, Product Slider…, VirtueMart 3.x, Support Amazing Slider and many other wonderful extensions. Of course, when you want to make your site more powerful, you can choose our Joomla extensions, which took you no more than one click. There are still many other benefits ZT Cosmetic can provide you. Not believe yet? Try the demo and make the conclusion! ZO2 Framework is a free, open-source, highly extensible, search-engine optimized Joomla Templates Framework featuring responsive web design, twitter bootstrap framework, styling for popular extensions, and a whole community behind it. Zo2 Framework comes with Drag & Drop Layout Builder which allows you to create any number of stunning and unique layouts up to 5x faster than traditional ways. ZT Cosmetic together with VirtueMart to build a complete online shopping experience for every fashion store, all the superb features: ajax cart, ajax wishlist, ajax compare, quick view, product zoom, product details, rating and pricing, shopping cart animation and so on. We carefully handcrafted this joomla template with a strong focus on typography, usability and overall user-experience. ZT Cosmetic delivers the shortcodes you need in spades, letting you quickly and easily put together great content and sharp layouts. ZT Cosmetic supports Mega Menu adding lots of advanced features. This Mega Menu is a perfect choice for creating unique menus. 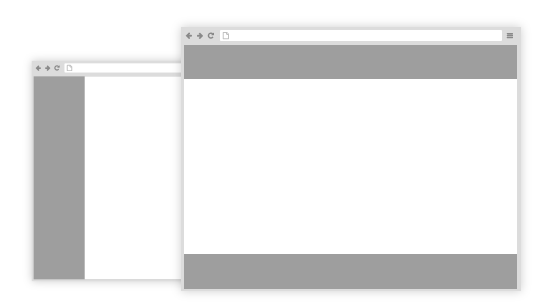 You can create a vertical, horizontal or fixed responsive menu with many custom styles and effects. HTML 5 ensures web experience and visualization quality that benefits from rich markup and compatibility. 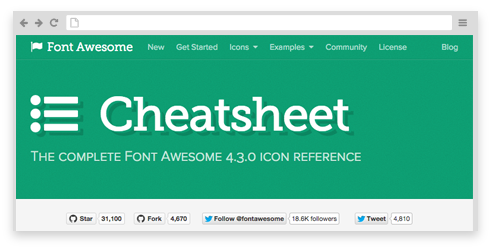 With Bootstrap and LESS- the Dynamic Stylesheet language, you can standardize your grid, typography, and modules with less efforts. 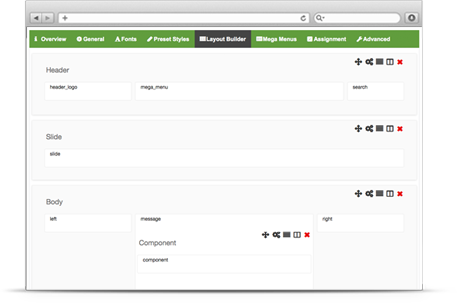 All are built in theme framework at core. Built with SEO in mind, the template is optimized for on-screen SEO and incorporates the best practices for optimizing page load speed. Works great with most of SEO Extensions which will boost your organic rank within in the search engines. The template looks great on the browsers people use: IE9, Firefox, Safari, Chrome, Mobile Safari, the Android Browser and Chrome for Android. Background Images – You could also upload background images on per section bases instead of solid background color if you wish. Effortlessly create and manage unique slideshows with captivating transitions and animations that are all completely responsive.